April is National Poetry Month but did you also know we love to celebrate our Part-Time Faculty? Join us—Part Time and Full Time Faculty— as AFT 1493 Skyline Chapter celebrates the hard work, dedication and drive of our Part-Timers. 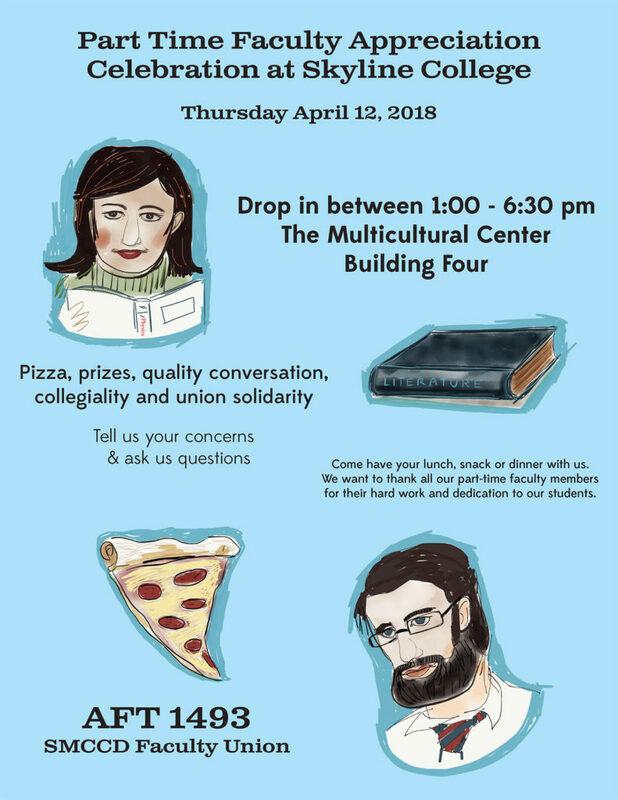 Come for the Pizza and Prizes, stay for the conversation and unity! Thursday, April 12th from 1pm to 6:30 pm in the Multicultural Center (Building 4) at Skyline College. Please encourage your colleagues to join us at any time that day. Come celebrate the people who make this campus great!